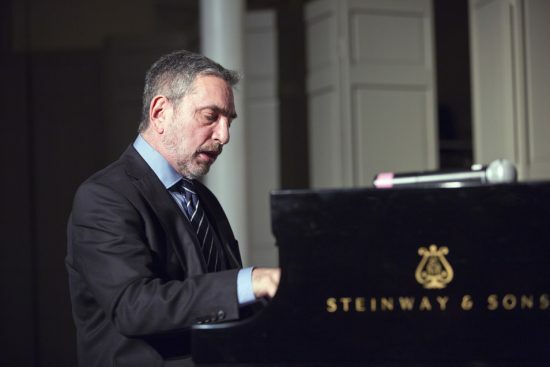 In January, pianist and organist Mike LeDonne held his second annual “Jazz Legends for Disability Pride” concert at the Quaker Friends Meeting Hall in New York City. The show, part of NYC Winter Jazzfest, featured some of the greatest names in jazz today, including Christian McBride, Wynton Marsalis, Monty Alexander, Jimmy Cobb, Joe Lovano, Harold Mabern, Buster Williams, Bill Charlap, Benny Golson and many others. All of these musicians were doing their part to raise awareness of and funds for LeDonne’s Disability Pride Parade, whose second edition takes place this Sunday, July 10, in New York City. LeDonne’s passion and commitment derive from his personal experience being the father of a multiply disabled daughter, Mary, who suffers from Prader-Willi syndrome. He recently answered a few questions about Sunday’s event for JT. Tell me how the idea for this festival originated. I figured I’d start a non-profit called Disability Pride NYC. It is a completely [volunteer-run] organization I started in 2011, and I thought I would try to call the mayor’s office to tell them about my idea, because I thought the mayor’s office did those types of things. Then I found out I would have to do it all myself, raise all of the money and start a non-profit. So little by little people started coming to help me by giving suggestions, and I’d write them down. Someone helped me connect with a law office called Loeb & Loeb, who were very helpful people that set me up with a 501(c)3 pro-bono. There were many groups of well-meaning people that came to help. My daughter is the main reason for this organization. I understand this event will be covered by Fox News and many other media outlets, and that you’re expecting well over 8,000 people. Yes, we have made great progress since last year. My organization has gone every week to have meetings in different boroughs. … [W]e’ve learned a lot! Where and when will this festival be held? It will start in Union Square at 11 a.m. on Sunday, July 10. Then at around noon we’ll go up Broadway to Madison Square Park [intersection of Fifth Avenue and Broadway at 23rd Street], where the festival will be set up. We had almost 4,000 people last year and it will double this year. There will be many artists of all genres there to honor the disabled. For more information on the event, and to register, visit: disabilitypridenyc.org.